Although foods may look like they used to, several key foods now are radically different on the inside because they’re genetically engineered to confer new traits. Almost all of the genetically modified foods on the market have been altered to either produce their own pesticide or to tolerate chemical herbicides such as Roundup weed killer. All of the top six GM crops in the U.S.—sugar beets, soy, alfalfa, corn, canola (canola oil), and cotton (cottonseed oil)—are genetically modified to be herbicide tolerant, which means lots of extra herbicide is being sprayed on the plant, and that has led to weed resistance. Farmers, in turn, sometimes use up to four times more herbicide than they used to in an effort to combat resistant weeds. Spraying so much herbicide adversely affects the beneficial microorganisms in the soil, which makes the plant more vulnerable to disease. Research shows that the process of genetic engineering itself causes unintended consequences in the DNA of the plant, which pose health risks. However, the risks associated with the herbicide sprayed on most GM crops are now considered much more serious. In 2015, the International Agency for Research on Cancer declared glyphosate, the active ingredient in Roundup, a probable human carcinogen. Research also suggests that glyphosate is an endocrine (or hormone) disruptor. The best way we can affect positive change in our food system and environment is through what we buy. 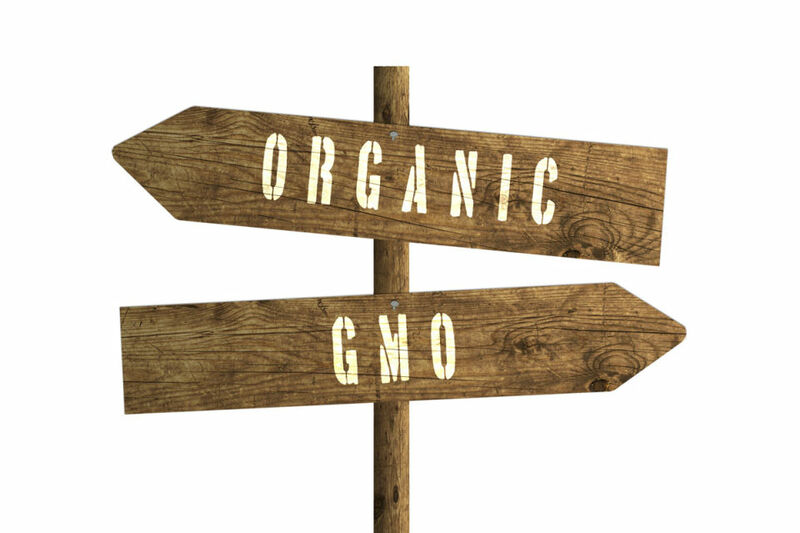 To make an informed choice, be sure to know the difference between organic and non-GMO foods. Products that have the USDA Organic seal cannot, by law, contain any GMO ingredients. They also must be produced without irradiation, sewage sludge, antibiotics, growth hormones, synthetic chemical fertilizers, and synthetic chemical pesticides (including glyphosate), many of which have been linked to a number of health problems, including neurologic and endocrine system disorders, and cancer. Buying organic means supporting an environmentally beneficial food production system that sustains the health of soils, ecosystems, and people. Plus, reviews of multiple studies indicate that organic foods are more nutritious than non-organic foods. One thing to keep in mind, though, is that organic certification does not require testing for GMOs. On the other hand, products that carry the Non-GMO Project Verified label are independently verified to be in compliance with North America’s only third party standard for GMO avoidance, including the testing of at-risk ingredients. That’s important to know to help us avoid GMOs. But a Non-GMO Project Verified label will not let us know if the food was sprayed with chemical pesticides. In my book Going Against GMOs, I call GMOs and the pesticides that go with them the food and environmental issue of our time. In fact, they’re two of the primary reasons why many people choose to buy organic, which is the best strategy for avoiding synthetic chemical pesticides. To avoid both GMOs and pesticides, seek out USDA Organic foods, preferably also labeled with the Non-GMO Project Verified label. The two widely used seals together give extra insurance to help you chose nutritious, unadulterated, non-GMO food. Concern about glyphosate herbicide on food has become such a hot-button issue that The Detox Project, a research and certification platform that uses an FDA-registered food testing lab to test for toxic chemicals, launched a new “Glyphosate Residue Free” food label earlier this year. Heavenly Organics and Chosen Foods were among the first wave of “Glyphosate Residue Free” brands to enter the U.S. grocery market this summer. Many large brands, including USDA organic and non-GMO certified brands, also have shown deep interest in the new certification. You can learn more about Glyphosate Residue Free certified products at detoxproject.org. The world’s most popular weed killer, glyphosate-based Roundup, is sprayed on most genetically modified foods and many non-GMO foods as well. For decades, the herbicide has been touted as safe enough to drink, but a growing body of evidence ties the chemical to cancers and a host of other health threats. In the new book Whitewash, veteran journalist Carey Gillam reveals in startling detail hidden secrets about the herbicide, the chemical corporation that produces it, and the tactics the company employed to get the chemical to be so widely used in our modern agricultural system.